Our community finds in the Rule of Saint Benedict a path to follow Christ and live according to His Gospel. We strive to follow Saint Benedict’s wise counsel, which he was the first to put into practice. Benedict was born around 480 in Norcia, Umbria, Italy. After living alone for a time, he gathered several followers and founded a monastery on Monte Cassino. This is where he wrote his Rule, his only known writing that still exists. He died in 547. Even if the Rule was written during the 6th century, it is still relevant today, and thousands of monks and nuns from all over the world follow it. 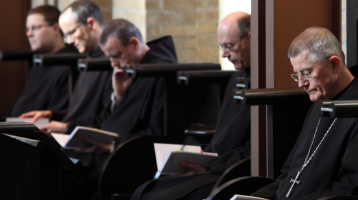 In his Rule, Saint Benedict compares the monastery to a school where people can learn to serve the Lord with prayer, lectio divina*, work and communal life under the guidance of an abbot. He advises the abbot to never make unreasonable demands and to always consider each one’s abilities. He also invites him to adapt his teaching to local circumstances. Saint Benedict ensures that our heart expands as we advance in religious life and in faith (Prologue). At the very end of his Rule, he summarizes his teaching in one recommendation and prayer: : “Let them prefer nothing whatever to Christ, and may he lead us all together to life everlasting”. (ch. 72). Commitment to the community consists of three promises or vows: stability, conversion of life and obedience. These promises require us to give up some of the joys of life, but they allow us to find true freedom of heart and to live for God alone. 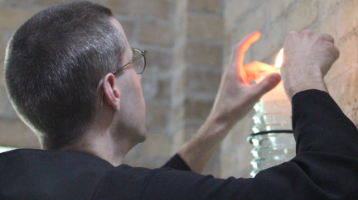 Learn more about these foundations of monastic life. Stability leads us to stay forever loyal to the same monastic community. It prevents our minds from wandering in all directions and indicates our retreat from the world as well as our perseverance. This implicitly includes poverty and chastity, and extends to all parts of monastic life. With poverty, we renounce all material possessions. With chastity, we make ourselves available to love God with all our heart. Obedience leaves us entirely in the hands of the Lord and makes us obey our abbot “for he is believed to hold the place of Christ in the monastery” (ch. 2). We thus conform ourselves to the mystery of Christ who became “obedient to death” (Philippians 2,8). Saint Benedict asks us not only to obey the abbot, but also each other. (ch. 72). Many monks have preceded us since the time of Saint Benedict, and we are the heirs of a long monastic tradition. Therefore, we must embody the monastic ideal that Saint Benedict proposes and adapt it to today’s reality. We also have to share what we have received. 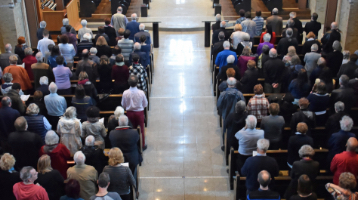 We believe that our witness calls on men and women to think beyond the visible world and understand that an intimate life with God can fill a void. We also believe that our values will answer the aspirations of future generations, because each generation is called to discover the imperceptible and turn its gaze to the Kingdom that is coming. “Jesus Christ is the same yesterday, today, and forever.” (Hebrews 13,8). 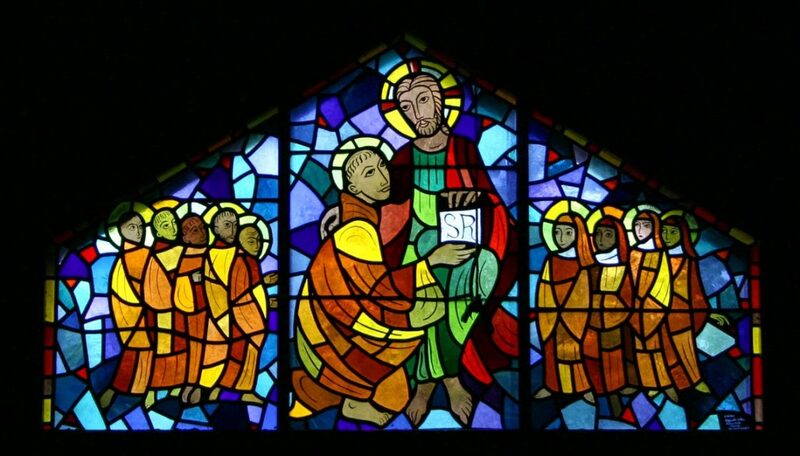 LECTIO DIVINAMeditative and prayerful method of reading Holy Scripture or a spiritual text. 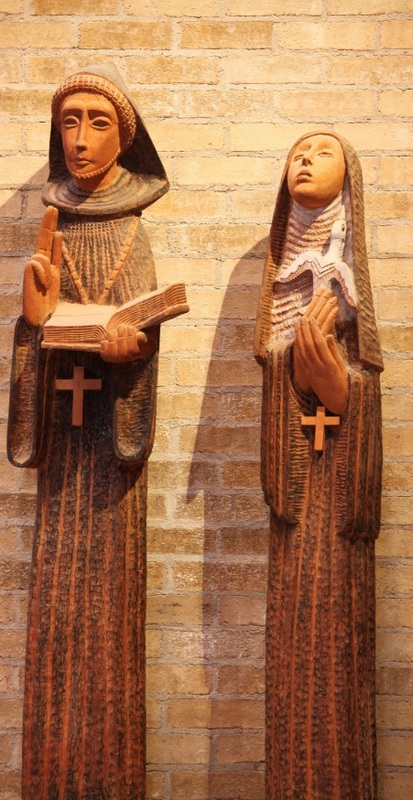 Oblates are lay people or priests who wish to live according to the spirit of the Rule of Saint Benedict, which contains a wealth of spiritual teaching which can guide any Christian in the way of the Gospel.